High blood pressure or Hypertension is fast emerging to be one of the biggest health concerns globally. 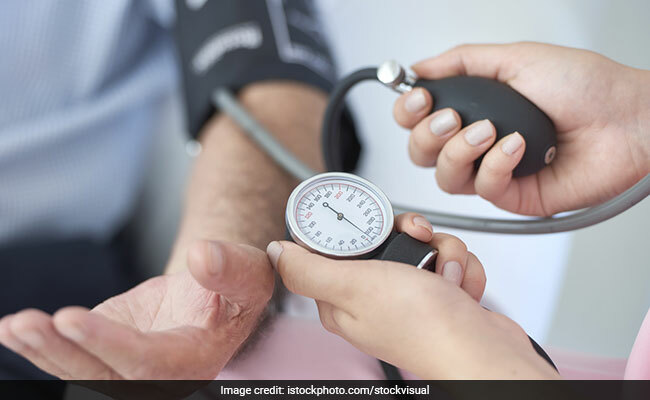 Hypertension was one of the biggest killers of 2016, and is known to be linked with countless problems like diabetes, stroke, heart disease and kidney failure. High blood pressure is a condition where the force of the blood against the artery walls is too high. This blood pushing against the walls of your blood vessels increases the workload of heart, the stress of which may also result in a stroke. According to a latest study, climbing stairs may help control hypertension. The study published in the journal Menopause, says that people who find find aerobics or resistance-training exercises to be tedious could simply try climbing stairs. The activity may not only reduce high blood pressure problems but also build leg strength in stage 2 hypertensive postmenopausal women. Several studies have claimed that postmenopausal women with estrogen deficiencies are more prone to vascular and muscle problems. The researchers of the study revealed that climbing stairs may offer the benefits of both aerobic and resistance exercise. The findings also demonstrated how the activity may not only improve cardiorespiratory fitness, but also leg muscle strength without their having to leave the house or pay a fee. As part of the study, researchers surveyed over postmenopausal women who were trained four days a week and climbed 192 steps two to five times a day. Climbing stairs also has additional benefits of lowering blood pressure and arterial stiffness — thickening and stiffening of the arterial wall — fat loss, improved lipid profiles, and reduced risk of osteoporosis, the findings showed. “This study demonstrates how simple lifestyle interventions such as stair climbing can be effective in preventing or reducing the negative effects of menopause and age on the vascular system and leg muscles of postmenopausal women with hypertension,” said JoAnn Pinkerton, Executive Directorat the North American Menopausal Society in Cleveland, US. Alongwith physical activity, there are many dietary tweaks that can help regulate blood pressure too. We’ve been told over and over again that too much salt can cause a spike in blood pressure.While a vast majority of research shows that with a drop in sodium consumption you may say a drop in blood pressure, it can differ from person to person. Here are some foods which can help you manage your BP naturally. Banana is one fruit that people with high blood pressure can eat regularly to control it. Banana is a rich source of potassium, which lessens the effect of sodium. So, try to eat one or two bananas daily. Along with bananas, you can try dried apricots, raisins, currants, orange juice, spinach, zucchini, baked sweet potatoes, cantaloupe, and winter squash. Spinach is low in calories, high in fiber, and packed with nutrients like potassium, folate, magnesium – key ingredients for lowering and maintaining blood pressure levels. Did you know that half a cup of cooked spinach provides around 12% of an adult’s recommended daily calcium intake? Eating a diet high in fiber & whole grains helps your body maintain a healthy blood pressure and oatmeal does just that! It helps reduce both your systolic and diastolic pressure. This low-sodium food can be prepared as a hot cereal and topped with fruit or used in pancakes. You can also add it to many baked goods. Watermelon seeds contain a compound called cucurbocitrin, which helps widen the blood capillaries. At the same time, it also helps improve kidney functioning. This in turn reduces blood pressure levels and helps a lot with arthritis.